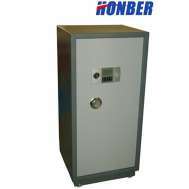 Ningbo Honber Industry & Trade Co., Ltd. is a highly-qualified, China-based supplier and manufacturer of digital safe, laptop safe, and home safes. The supplier has been recognized as one of the most professional manufacturers in the home & office security industry since . With both experience and innovation, the supplier is confident of providing buyers with quality products. Sleep tight with Hober's line of quality burglar-proof digital safe. Our products guarantee the efforts of thieves end in vain while your valuables stay organized and easily accessible. This is the most scalable and security proactive Information Risk Management solution available on the market today. Digital Safe now is the most popular kind on the market. Our products have been developed primarily for private use. Every single component, as well as the finished product, are subjected to stringent quality controls. User-friendly operation via automated digital code entry is another plus. 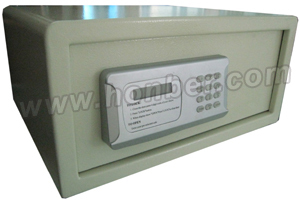 Our Digital Safe has some good and advanced specialties as suitable for laptop with LED display. With three levels of code management for guest code (4-digit), master code (8-digit) and intellectual management code, the door can be opened by using the remote controller. There are other functions such as override key for emergent opening, automatic motor drive, double locking bolts, epoxy powder coating, 3 incorrect entries buzzer and auto-locking functions. 100 pieces of safe opening record can be read on LED screen and printed by computer. The digital safe system also includes mounting bolts and floor carpet. Designed with independent additional power supply, there are four pieces of 1.5V battery for power supply with low battery precaution. If you are interested in this secure system, we have various colors of wall safes for you to choose and we accept OEM orders as well! Immediate savings on our superior quality Digital Safe and Electronic Lock Systems! Contact Us Now! Our know-how will answer to all your needs!